I thought my girlfriend and I were visiting a local tea room to mark the last year I’ll spend in my 30s (! ), but these ladies had a better plan! Nine dear friends surprised me with a birthday tea yesterday! Carleen is my number one tea student and friend–she was our hostess. I laughed and cried with these ladies as they presented me with flowers, gifts, and words of affirmation. We were so happy to just sit, gab, and laugh together. They honored me with my favorite children’s picture book, Miss Rumphius, the story of the Lupine Lady. See the lupine seed packet at the top right? They were a simple and beautiful favor to remind us all of the day. I loved how they decorated the punch bowl simply and beautifully with the in-season camellia flower. My friend is more autumn than spring in her style, and yet she pulled together a simple and beautiful floral theme. Our menu included roasted carrot soup, herb chicken salad sandwiches, goat cheese prosciutto maki rolls with asparagus, spinach salad with poppy seed dressing, fresh fruit, a creme brule’ black tea (a favorite among my friends thanks to a popular local tearoom), and in honor of this entry, cupcakes! Thank you, dear friends, for bringing spring to my soul through your simple acts of beauty and kindness. 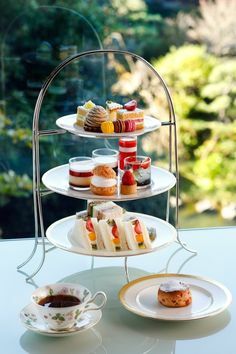 And thank you for providing me such a fabulous entry to Risa’s First Day of Spring Virtual Tea Party! Please join us, it’s not too late! I hope it’s beginning to feel like spring wherever you live. Happy Birthday! Your friends did a great job & it looks like you all had a great time. How fun! I wanted to say how yesterday watered my soul. It went beyond the beauty of the decor and the tastiness of the treats. Our conversation was rich and diverse and covered topics often not touched on in today’s hurried canned conversations. I was transported to a sitting room in an earlier time where debate and mirth walked hand in hand. It was simply marvelous. Thank you for including me. Oh, happy happy happy birthday! I’m in tears (of joy) just reading about your day. Congratulations and much wonderfulness to you this year! BTW, we’re fellow March babies! Happy Birthday fellow March baby! I LOVE birthday parties! Two friends and myself had birthdays this past weekend, and I’m hoping to celebrate with them soon. Yea!! And to all you tea party ladies, in the spirit of Alice and the Mad Hatter’s tea party, a very merry UN-birthday to you! Can I steal your friends for my next birthday? 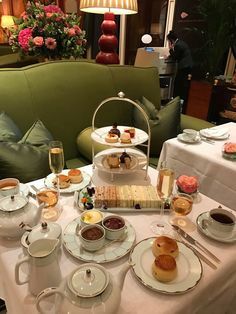 Your tea party looks wonderful and I could tell you all were having a fab time.